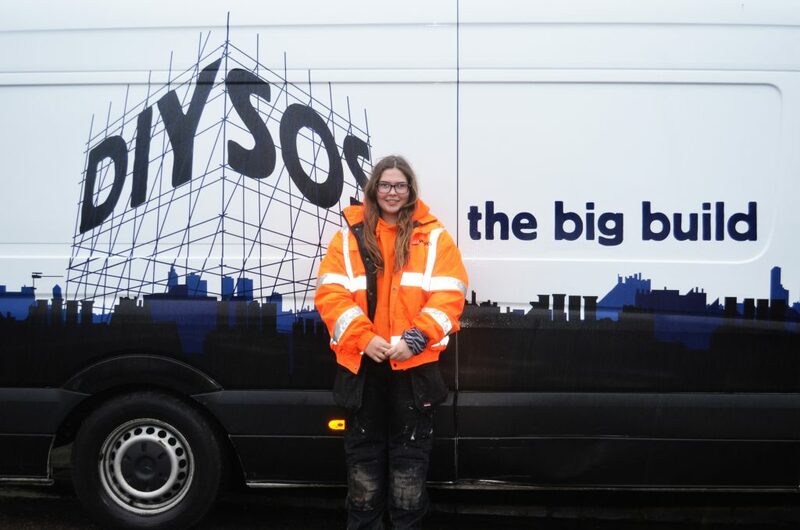 In the latest of students creating their own exciting stories at South Devon College, we recently spoke to current Site Carpentry Level 2 Diploma student Stephanie Collings about her experiences of the College, and how she found herself featured on BBC One’s DIY SOS. 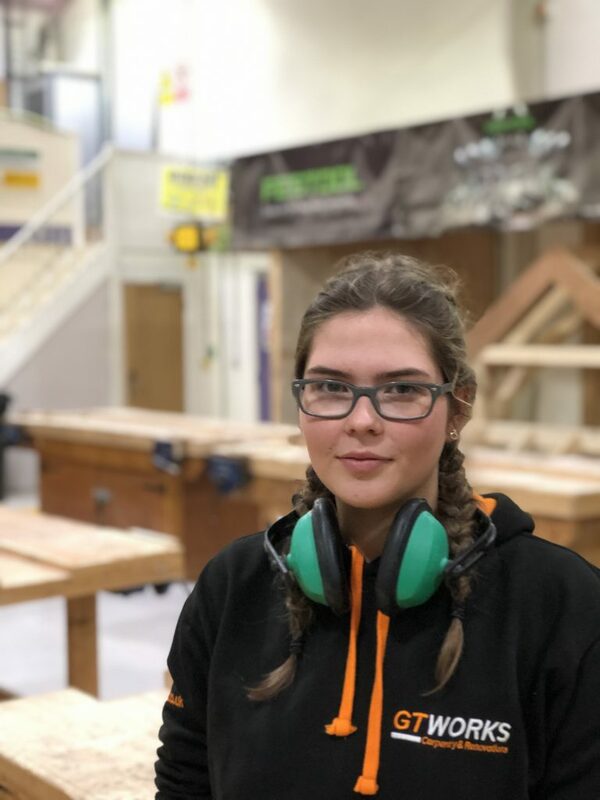 After enrolling on the course at the College last year, Stephanie (18 from Teignmouth), carefully manages her time between her classroom studies as well as her Apprenticeship with GT Works Carpentry and Renovations. 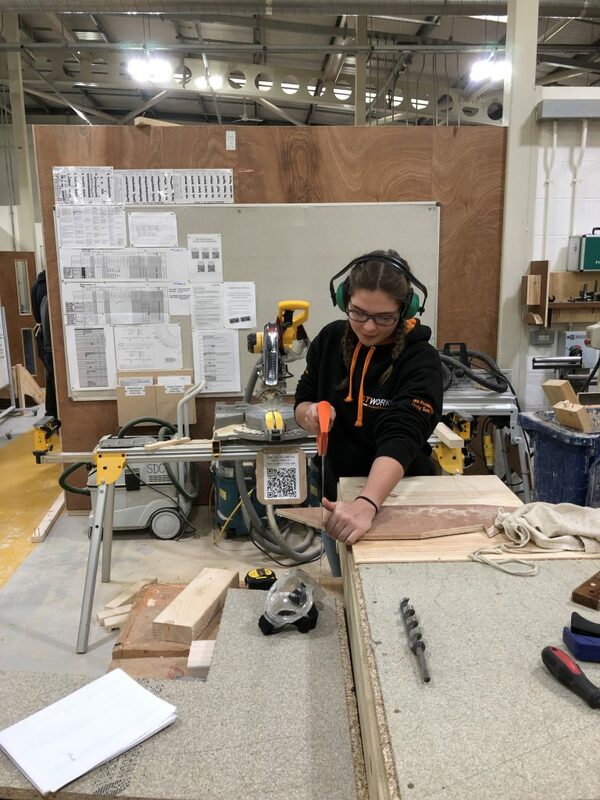 Asked for her thoughts on the College so far, Stephanie said, “I’ve been studying at South Devon College for over a year now on the Site Carpentry Level 2 Diploma. The course is a big difference from my previous studies in Music and Humanities at my previous College, yet the course is best suited for my own future career goals. After a chat with my apprenticeship boss at GT Works we decided it was a great opportunity for me to develop my learning in local surroundings. Despite only beginning her journey to become a qualified carpenter last year, Stephanie has already shot to fame with a recent feature on BBC One’s famous DIY SOS show. Stephanie adds, “It was such an amazing experience, I still can’t believe it happened! My apprenticeship boss was just scrolling on Facebook when they saw the advert for DIY SOS and sent the BBC an email right away, offering to host the film crew for nine full days. Once we heard back we were invited to a site meeting, we were informed our jobs on the show would all be carpentry and general building related. When the build eventually started it was overwhelming how many people there were working on the site. The roles that I undertook were often just labouring jobs but I assisted on putting in the stairs, taking down the chimney, doing studwork, building a summerhouse, helping out the landscapers and putting on door handles and locks. Stephanie is one of many Carpentry students thriving at the College. 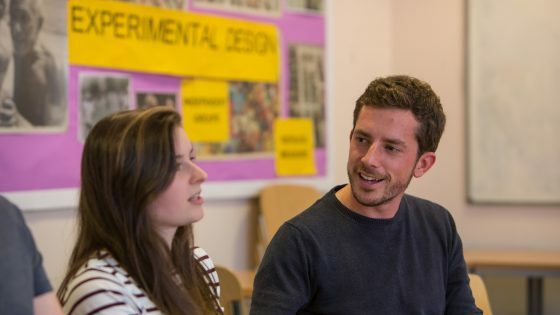 Carefully designed for delivery in the College’s brilliant equipped carpentry workshops, students are provided with the perfect training environment to develop the skills and knowledge necessary to succeed in the carpentry trade.